Premium Lessons are designed for intermediate-advanced musicians who are looking for a large dose of advanced level concepts in each lesson. Premium Lesson students are on an accelerated path and are encouraged and pushed extra hard by their teachers, giving them very clear and aggressive goals to see the maximum progress. Premium students are treated as professional musicians, whether or not they have broken through yet. We believe that in order to become a pro musician, we must behave like one from the very beginning! Premium students have access to teachers via email in between lessons, are invited to participate in all MMS performance events, recording sessions and projects. Students can schedule lessons with a bit more flexibility as they see fit. Some premium students will come for lessons weekly, bi-weekly, or sometimes with more regularity during brief periods of time while preparing for a gig, recording session, or working on a specific project. Ciara specializes in working with singer/songwriters, artists, and performers who are preparing for the "next big thing". She is a songwriting coach, collaborator, producer, pianist, and artist herself. Her students work towards writing/recording albums, playing shows, and developing their career. She strategizes with students about what their next steps should be, whether its polishing their live show, developing their web presence, gaining press and accolades after releasing, gaining a fan base, or just focusing on honing their craft. Ciara works closely with the MMS engineers to produce and record at the MMS recording studio. She just recently produced her student Matt Snyder's first EP and is excited to be releasing that this year. She is currently working on developing MMS' first compilation album and a record label to help support the many talented artists that she works with at MMS! 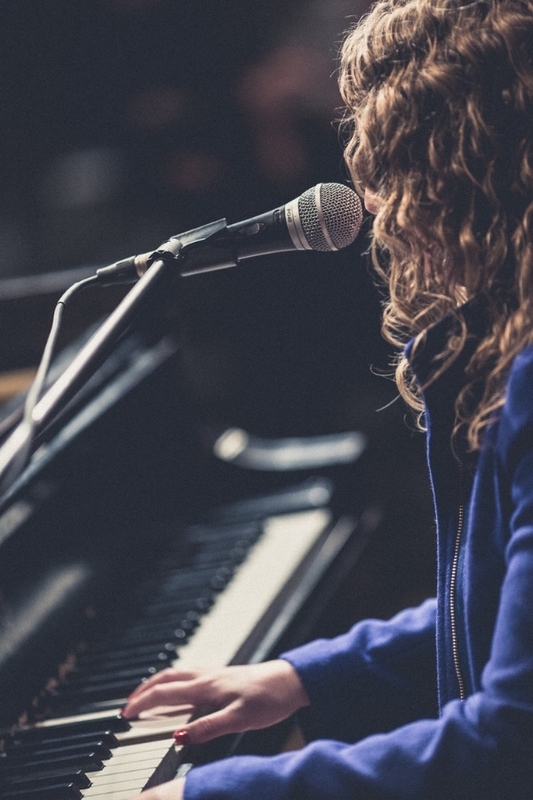 Ciara works with advanced level pianists, singer/songwriters, singers, and anyone looking to develop their unique sound as an artist. Lizzie has a unique and extraordinary gift of helping singers expand their range, develop a "belt", sing freely and smoothly over their bridge, and create the "sound" that is reflective of the genre of music they choose to sing in. And she knows how to teach this in order to gain maximum results. These are highly effective voice lessons designed to get singers past their limitations and into singing with freedom and passion without fear! She works with singer/songwriters, pianists, and vocalists looking to take their art to the next level by gaining confidence and versatility in their sound and is a truly creative and powerful singer, songwriter and artist herself. Complete this form & request a consultation. I am Interested in Lessons with: * Ciara Lizzie I'm not sure, help! Naomi will be in touch with more information and to schedule your phone consultation.